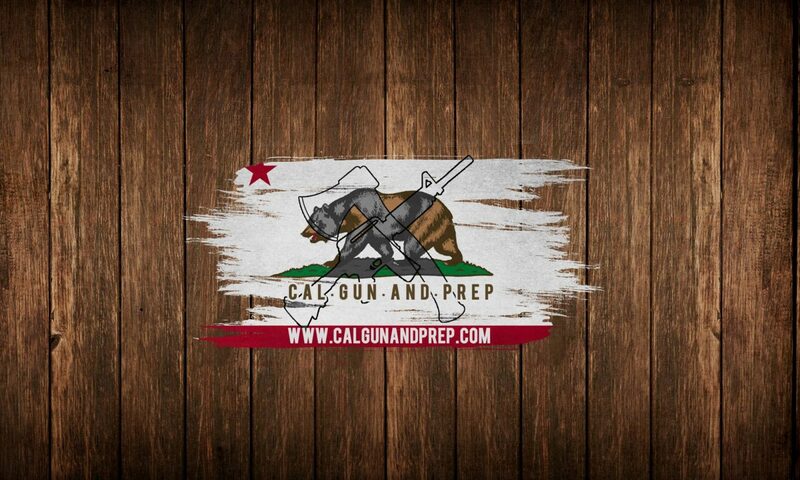 Calgunandprep.com nor the author is not an attorney and as such this article is not intended to provide legal advice. It is your responsibility to to know any and all laws that apply to your situation. Some of you might think this is the way to go. I am not one of you. This to me is only better than doing nothing in that I would not be committing a crime. Other than that this option is not very good. Want to drive to the grocery store on your way home from the range/hunting? You could be committing a crime. Want to heir your rifle to your kids? Not going to happen. Want to let your friend borrow your rifle? Forget it. Then to top it all off the government gets to put you on a list that is otherwise forbidden by federal law because you now own what they believe to be a mass murder machine. If you want to register then go for it, but it’s not for me. If you remove these things then you can have a normal mag release and still be legal. The challenge is finding a way to replace the pistol grip with something that is still functional. There are a lot of different options out there that range from $20 on up, but the one I found that looks the best and is the most functional is the Thordsen Customs Gen 3 stock. I went with this route on my current (and 1st post SB880) build. I am building a new 308 AR and making it featureless. To do that I need a fixed stock and no pistol grip. Fortunately the Thordsen Custom Gen 3 stock checks both boxes and lets me still look cool without sacrificing functionality. So lets think about this, most of us don’t need a forward grip, the A2 flash hider is barely better than nothing, a fixed stock is more accurate, and I can get something to make my rear pistol grip not a pistol grip. Why would I not want to go that route on all my existing AR’s? My very 1st AR I have ever owned is very special to me. It was a “congratulations on being a daddy” gift from my wife’s uncle and grandfather. As a result it’s not only something I want to pass down to my son, but I want to keep it in it’s original configuration. I did have to swap out the mag release for a bullet button, so replacing that with a mag lock wasn’t too big a deal. I also will someday get around to building my M16A2 clone, which again requires a specific look so going featureless on that one is not an option either. In regards to cost, on my other AR’s I had already spent money on the furniture and I just really didn’t feel like throwing away $100. Not to mention if I kept the Magpul stock, then I would have to use the stupid grip fin which I am obviously not a fan of. On top of that I would have to put a peg in the stock to keep it from moving around which is additional cash I have to spend. To me it just made more sense to go fixed mag. As a result I ended up going with the EP Armory SB880 maglock, and the Mean Arms MA15 loader for reloading at the range. $15 per rifle for the lock, and $40 per loader which can be used across both my 5.56mm and .300 BLK AR rifles. I wanted to take some time to explain my personal reasons for not wanting to register my AR15 rifles. There are essentially 2 ways to do this in CA: 1) go featureless; 2) go fixed mag. In this video I talk about why it might not make sense to go featureless and my choice for a fixed mag solution.